CACI International (NYSE: CACI) will compete for information technology support task orders under the U.S. Army’s nine-year, $12.1B IT Enterprise Solutions recompete contract for services. The ITES-3 Services indefinite-delivery/indefinite-quantity contract covers cybersecurity; telecommunications and network operations and maintenance; integration; and supply chain management, CACI said Thursday. 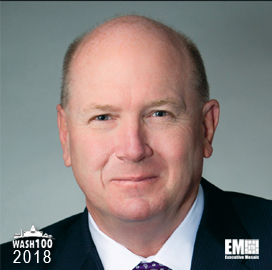 Ken Asbury, CACI president and CEO and a five-time Wash100 winner, said the company’s technical team leverages its experience to deliver IT, mission support and other services to help the Army meet its net-centric goals. The service will manage the ITES-3S indefinite-delivery/indefinite-quantity contract through the Computer Hardware, Enterprise Software and Solutions program. CACI is one of the 134 companies that secured spots in September on the ITES-3S vehicle, which has a five-year base term and four option years. The company said the IDIQ contract would help expand its work in logistics and material readiness, enterprise IT and business systems market areas.